Update: As of 10/5, One Group Tour Remains for October 17 at 11:30. Morning Programs are sold out on October 24, but afternoon sessions remain. Both morning and afternoon sessions are open on October 31. Expanding on a partnership that started in fall of 2017, B Street Theatre and Friends of Sutter’s Fort and California State Parks are proud to announce an exciting and new collaborative offering to provide a joint field trip opportunity for teachers looking to visit two of Sacramento’s top attractions in a single day. Designed for school groups interested in watching an engaging and entertaining B Street Theatre production plus visiting the interactive and fun Sutter’s Fort State Historic Park, the new offering will be available on Wednesdays starting this fall. This new collaboration will coincide with the debut of B Street Theatre’s fall production of Treasure Island. 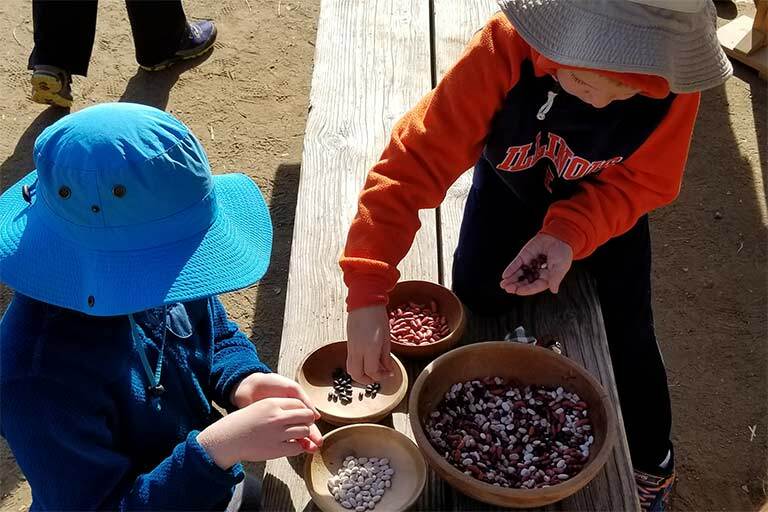 Sutter’s Fort will provide a fun and unique opportunity for classrooms to enhance their B Street experience by participating in a custom program that will build upon themes from Treasure Island that are relevant to the history of Sutter’s Fort, including treasures, navigation and sailing. The cost for this program is just $5 per student and will run approx 1 hour. Space for this program is limited, and advance reservations are required. Please contact Angela Howell with California State Parks at 916-445-3755, or submit this inquiry form for more information or to book your group.